I had a blast yesterday visiting my best blogger buddy, Chanelle, and raiding the racks of her online vintage store, Penelope's Vintage. 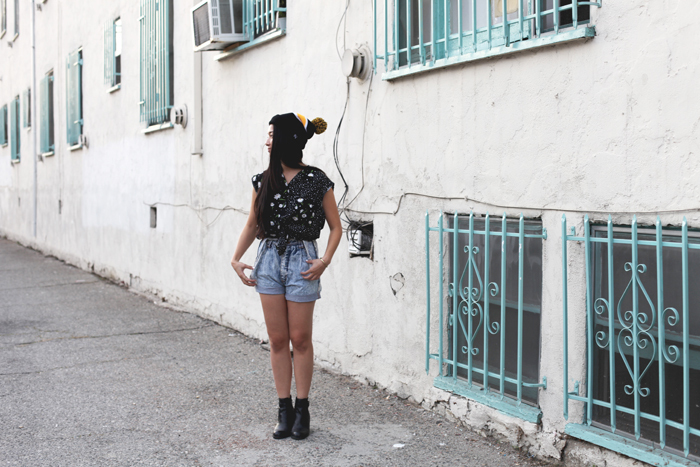 I found these awesome acid denim suspender shorts that are so much fun to play around with and this adorable polka-dot-slash-daisy-printed top. It's also my first venture into the world of beanies and of course Chanelle, the beanie master, would get me hooked. I think the fact that the entire outfit was a whole new look for me (which I loved!) really gave me a new energy and just spurred a lot of laughs and fun. 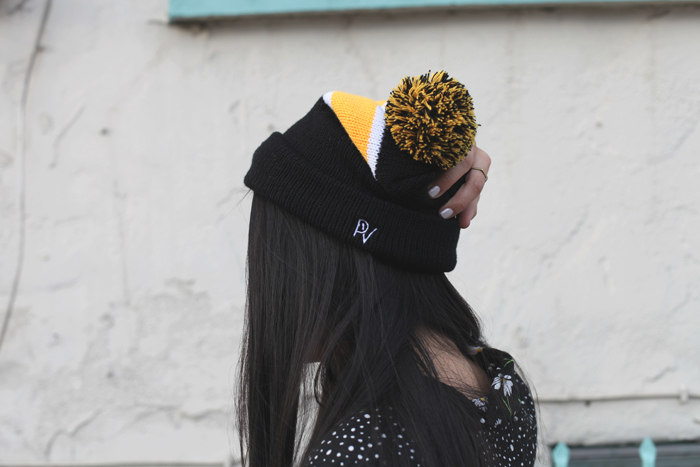 I can't wait to show you guys her amazing new lookbook coming soon and her own line of beanies! 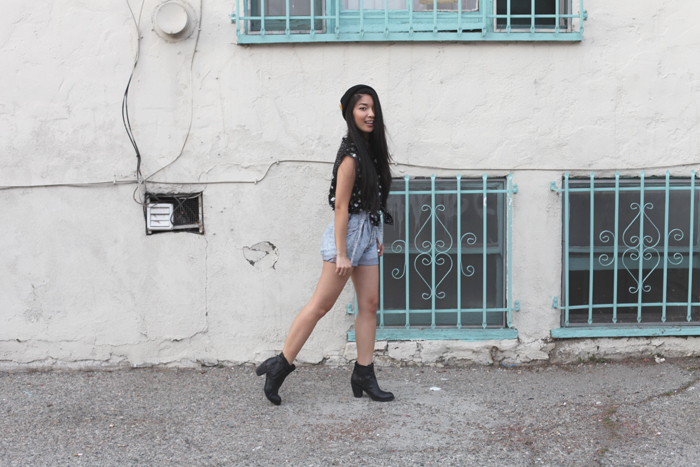 Stay tuned and check out the rest of her awesome vintage pieces here. This outfit is so 90's I love it! Rayanne Grath in the best way possible. So in love with that top! you look great! 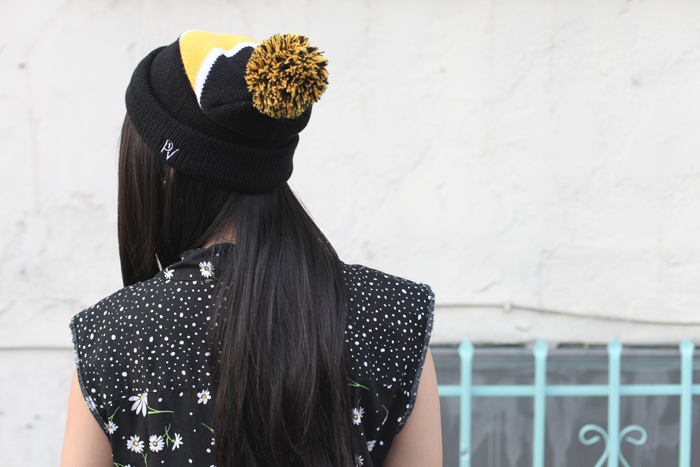 and cute beanie!